The power grain barley, which our generation commonly associates with beer, has long been used to make cereals, as a substitute to rice and to dish out other delicacies intrinsic to various regional cuisines. While we now marvel at one of the variants – pearl barley, with the ongoing trend of eating what our ancestors ate and using it to toss up salads and quick stir-fries, another barley form which is garnering attention is barley water. The benefits of barley water aplenty. This healthy beverage has made a mark in various cultures – Greek, Britain, and East and Southeast Asia. In ancient Greece, one of their favourite beverages called kykeon was made with barley water, and it was deemed to be a cure for various ailments. In Britain, it was mostly used as a hot beverage, much like tea, and flavoured with lemon rinds, sugar or other fruit juices. In fact, it is said that athletes at Wimbledon are often served an orange flavoured, barley water drink during summers. Coming to Asia, barley water is enjoyed both, hot or cold, and drank as is or flavoured with lemon. According to Ayurveda, it is an excellent diuretic, which cures urinary tract infections (UTI) and also helps the body to keep cool during the summers. Regular usage of barley water helps flush out toxins from the body and the intestines through the urinary tract. This process is primarily triggered by a group of sugars called beta-glucans which are present in the cell walls of barley. It therefore helps in cleansing the internal system of the body. 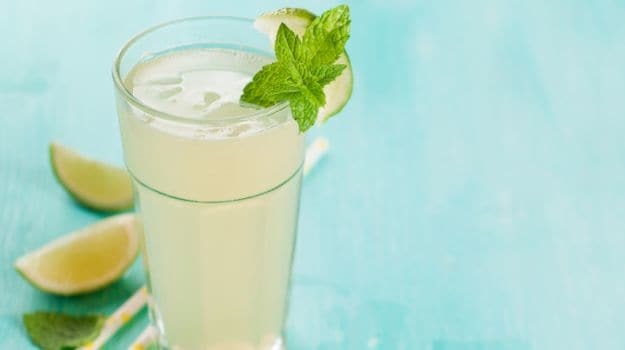 Since barley water acts as a diuretic, in many households in India, it is considered to be a natural remedy for urinary tract infections, and children or adults are often recommended a few glasses of barley water on a daily basis till the infection subsides. It is also said to be a good remedy for kidney stones or cysts. In Ayurveda, barley water is considered as a digestive tonic which helps in facilitating the process of digestion, especially for those who have low ‘agni’. Different body types, such as Vata, Pita and Kapha, can also mix in a few spices respectively to further aid in the process. It is often recommended to those suffering from constipation or diarrhoea, and it also helps restore the electrolyte balance during infections. According to the book Barley for Food and Health: Science, Technology, and Products by Rosemary K. Newman and C. Walter Newman, “Barley water is a beverage known since ancient times as a folk remedy or preventative for numerous ailments, such as gastroenteritis and heat exhaustion.” Since it is a light beverage, it is easy on the stomach, and because it contains essential minerals, it aids in various processes of the body. Since barley is an excellent source of fiber, barley water too retains this characteristic in some measure. It therefore proves to be a great option for those seeking to lose weight as it tends to fill you up for a longer time, thus cutting down on your food intake. 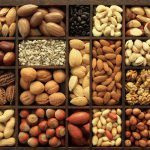 Moreover, as it is good for digestion, it also stimulates the metabolism of fats. But this definitely doesn’t mean that you can indulge in fatty foods and expect barley water to work its magic. Being a good source of fiber and beta-glucans, barley water also works towards keeping a check on blood cholesterol (by inhibiting the absorption of LDL and triglycerides from food) and blood sugar (by improving insulin resistance). Moreover, it has anti-inflammatory properties which not only help in cooling the body but in protecting the heart as well. To make the most of this healthy drink, it is best to stir it up at home. It is simple to make and you can even use flavour boosters and sweeteners to improve the taste. You can use hulled barley or pearl barley to make the drink. Ensure that you cook the grains well to extract the most nutrients from it. 1. Heat the water and pearl barley in a saucepan and bring it to a boil. 2. Add the salt and let it cook on a low flame for 30 minutes. You can muddle the grains a little, using a spoon. 3. Strain it into a glass, tip in a lemon rind, and drizzle with a little honey on top. Let it cool completely. You can also keep it in the refrigerator for 30 minutes and then have it.